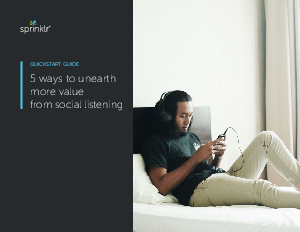 Social listening has grown...a lot. Today, listening technology provides brands with the power to reach consumers via the digital platforms where they research, make, and discuss their purchasing decisions. Accordingly, businesses can—and increasingly, must—use listening to inform strategies across their entire organization.